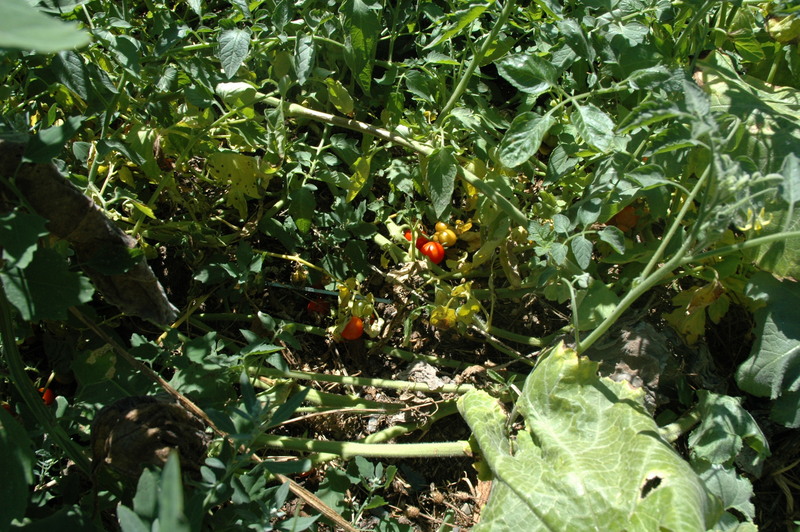 Some unexpected volunteers sprouted out of the rabbit manure pile and the compost piles! It has been hot and dry, so the leaves are looking parched. (Hoping for rain!) But the fruits are growing! 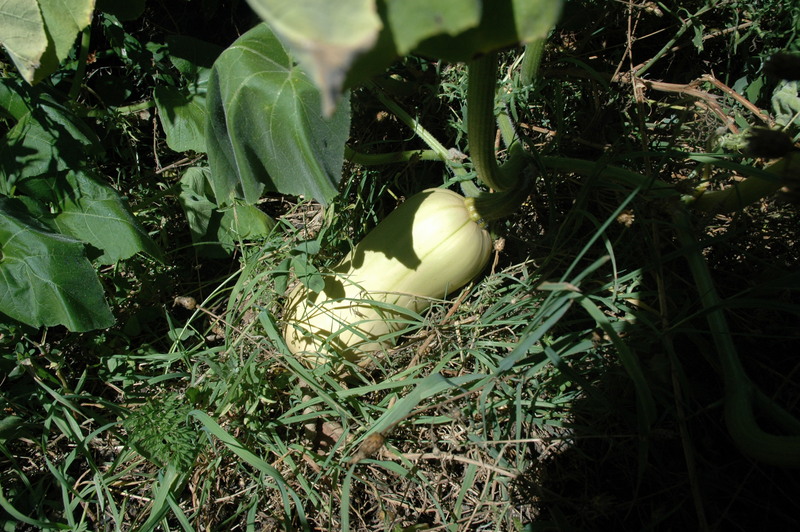 Yeah squash! 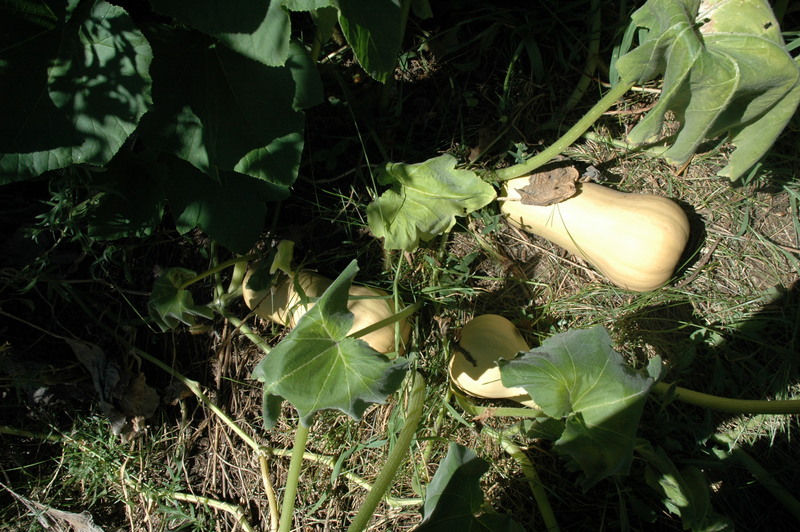 Squash seeds are a cross product of pollination – so compost piles are known to produce some odd varieties. 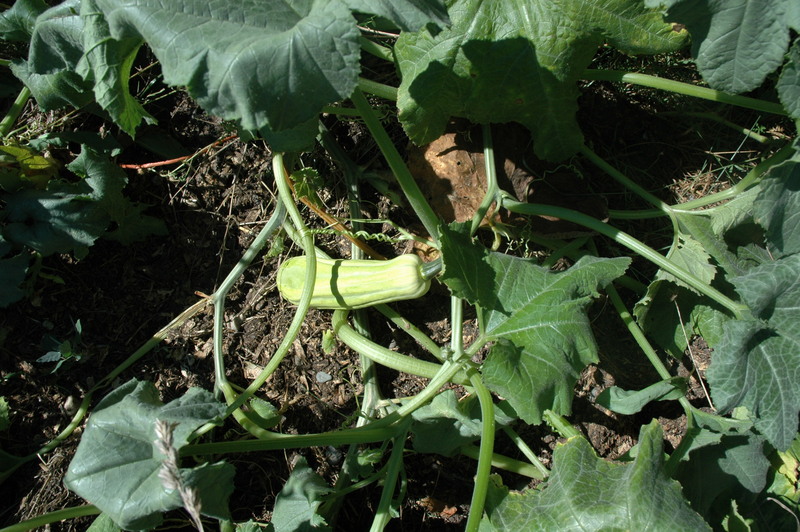 It seems like we’ve gotten lucky with butternut and delicata! did u find the bat house I left last week ? ?